Be the first to share your favorite memory, photo or story of Sharon "Sheri". This memorial page is dedicated for family, friends and future generations to celebrate the life of their loved one. 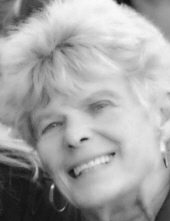 Sheri, age 80 of Denver, Colorado. Beloved wife of JoeRoy Nedbalski. Loving mother of Kristi (Andrew) Smith of Littleton, CO. Grandmother of Britney and Nicholas Smith. Also survived by a host of family and friends across the country and into Mexico. Preceded in death by daughter Carrie Bohte. To send flowers or a remembrance gift to the family of Sharon "Sheri" R. Bohte, please visit our Tribute Store. Celebration of Life with Dr. Patty Luckenbach with Mile Hi Church as Celebrant. There will be a lite reception from 2:00 to 3:00 PM following the service. "Email Address" would like to share the life celebration of Sharon "Sheri" R. Bohte. Click on the "link" to go to share a favorite memory or leave a condolence message for the family.